I think it is safe to say I have a bit of a bike problem. Lately I've had a hankering for a trike. Lo and behold Aaron found one on Craig's List. 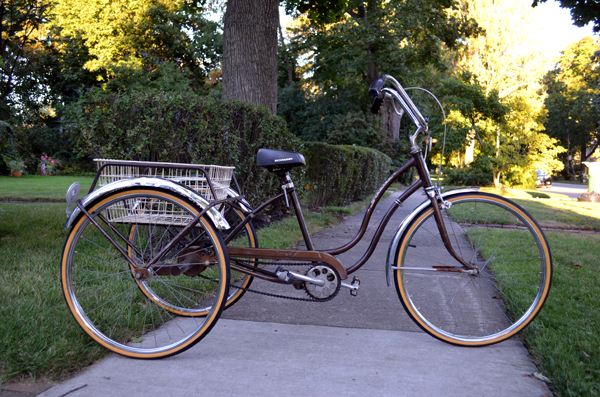 A vintage Schwinn Town and Country Trike. It's brown so we call it "Triple Chocolate". I need to look up the serial number and see what year it is. My guess is it might be from the first year they made them, 1972. 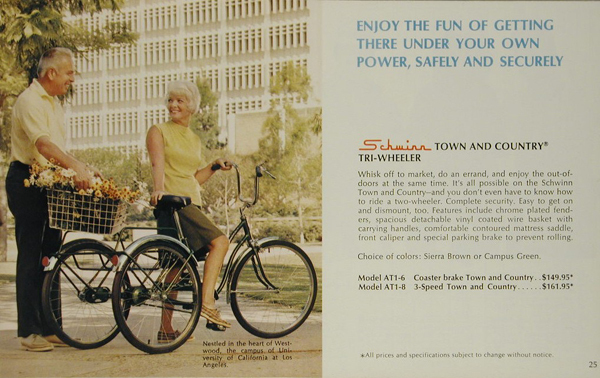 I started looking at Schwinn catalogues and that is the only year I saw them offer brown. I try to ignore the fact that whenever they show them in the catalogue it's featured with senior citizens. 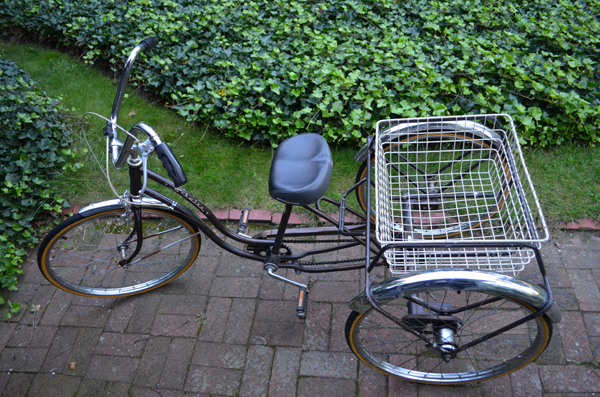 I love the basket on the back. 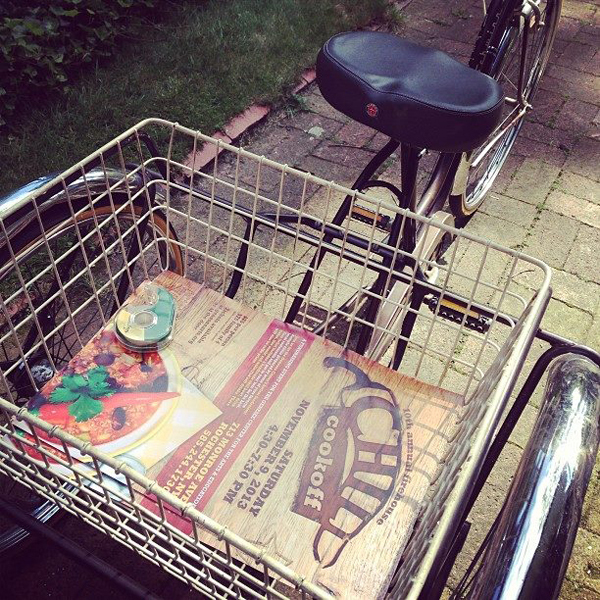 Perfect for running errands around the neighborhood. In fact I delivered some Genesee Center for the Arts and Education Chlli Cookoff posters using it. Perfect! Triple chocolate is actually pretty light for it's size. Steering it is the weird part. The slightest turn of the handle bars and it wants to woosh off in that direction. It may need some adjustment. I love that Schwinn still makes the Town and Country. They are quite a bit more than what they cost when they first came out. 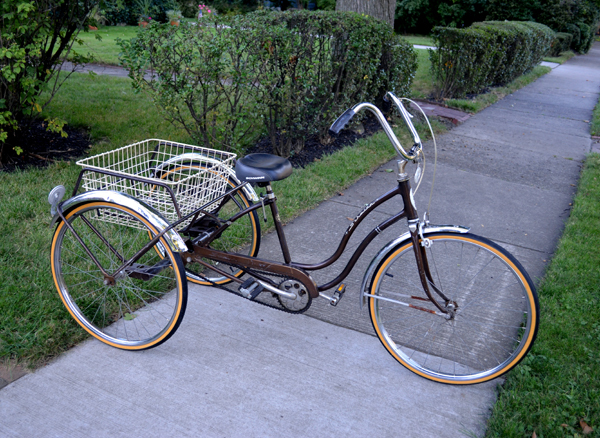 I paid less for this vintage one than it originally cost... great Craig's List deal! I think your pugs need safety harnesses so they can ride in the back! I am going to ask you a dumb question. 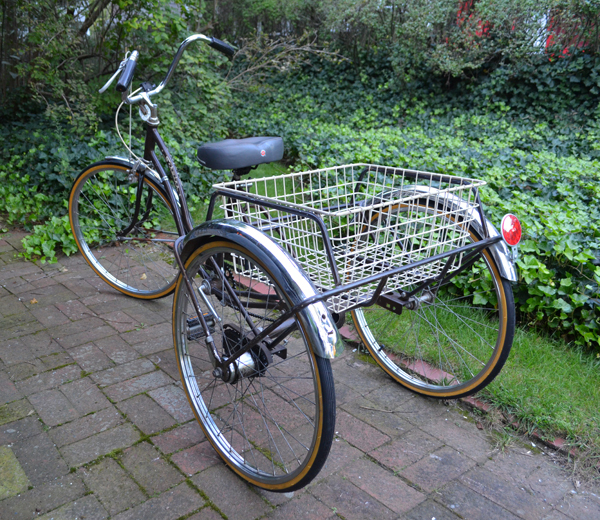 Ia m having trouble find parts for my 1968 Schwinn T&C. 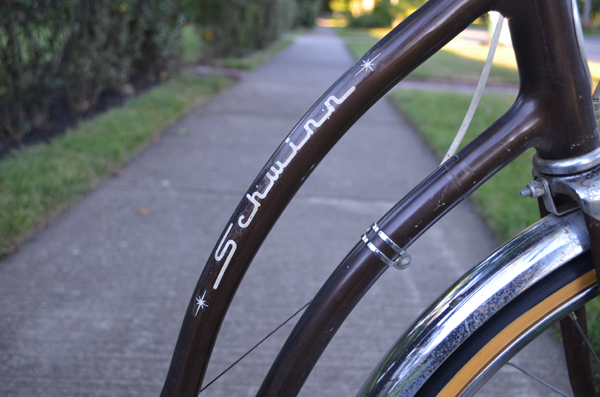 I just found a NOS or new set of Schwinn Fenders but the front fender came without mounting hardware. Could you possible measure yours for me? From the center of the axle bolt to the edge of the fender is all I need. Then I might be able to find one on line from some place. Thanks!